Cold chain interruptions of biopharmaceuticals or laboratory samples to gain genetic evidence may have serious consequences. Even at low temperatures, the markings have to remain intact throughout the entire process. Conventional labels, however, may lose their flexibility, shape and adhesion at extreme sub-zero temperatures so that important information will no longer be legible. 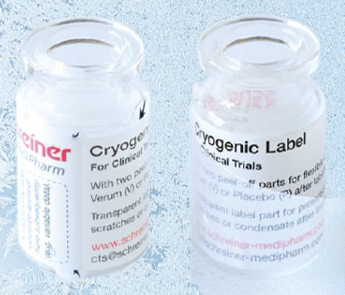 Schreiner MediPharm offers special cryogenic labels that reliably withstand such extremely low temperatures.